Hi I’m Jesse, I’m 19 and I’m from Australia, i was born just west of one of the countries largest cities, Melbourne. 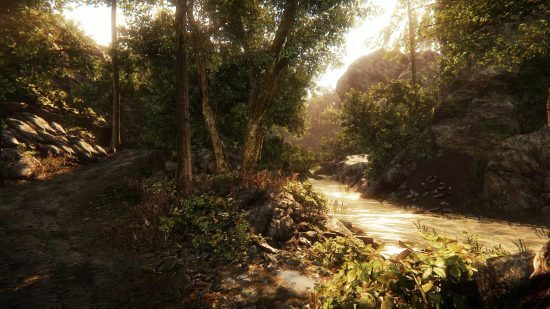 I’ve always been an enthusiast for art and the outdoors ever since i was young, which i suppose collated into becoming an environment artist long before i even knew what 3D really was. Both i find that i use it as a hobby but also get paid to work on some pretty awesome stuff, currently I’m working as an Artist on a VR project known as ZR:Zombie Riot (google it) at a Melbourne based games company called PlaysideVR, prior to my current placement i worked as a junior artist on Need For Speed No Limits (mobile development studio Firemonkeys) at EA. 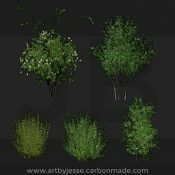 You can find my portfolio at https://www.artstation.com/artist/jetty218. 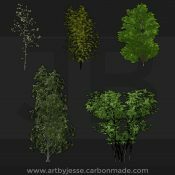 I’m majority self taught but did attend a course in my home city in Professional Game Development majoring in Environment Art at the Academy of Interactive Entertainment. I use a massive array of software including Maya as my main modelling program, Zbrush, Photoshop, quixel suite, marmoset toolbag, xnormal, and a few others to boot, but I don’t really believe in software making the artist, i think art is based strongly in foundation, you know, the skills da vinci and other greats used. 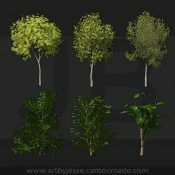 I use both when needs be, i find the Xfrog software to be incredibly fast and easy to use, I’ve worked my foliage pipeline around the use of Xfrog and Xfrog plants. I like all three, if it involves art I’m there, if i had to really choose id go with creating ecosystems, so much fun to create things from scratch and have them be impressive easily with xfrog. 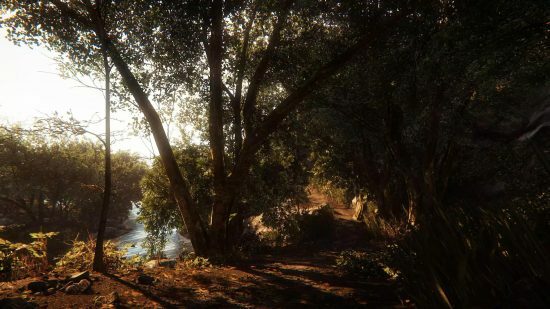 Xfrog would be amazing if it supported more game directed scaling, if i could get incredible foliage that xfrog produces into a game format easier that doing it myself, then it truly would be the one stop shop for all things CG foliage in my mind. ALIEN PLANTS!!! it would be cool to start seeing more creative alien like plants in the xfrog suite. 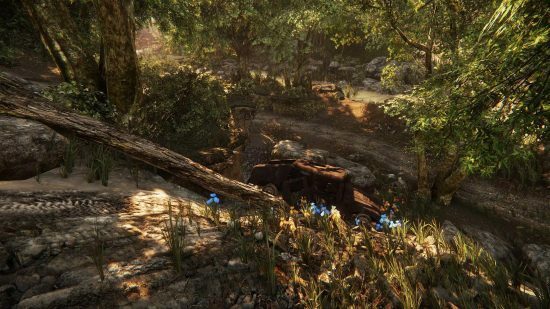 The ease of use that comes from using xfrog and the speed, almost instantly i have an amazing source of foliage that i can either use as is in still renders or bake down for in game/in engine use. See more of Jesse’s work at in our Gallery or at his online portfolio. This entry was posted on Friday, August 5th, 2016 at 1:17 pm	and is filed under Artist of the Month. You can follow any responses to this entry through the RSS 2.0 feed. You can leave a response, or trackback from your own site.